What’s reality TV without a little hyperbole? Though we’re still in the midst of the Battle rounds on The Voice, a cryptic promo for the singing competition teased that the April 15 episode will feature a twist "no one saw coming." Sorry to disappoint, NBC, but we know exactly what that twist is gonna be. Scroll down for more information about the show’s major shakeup. WARNING: Spoilers ahead regarding The Voice’s new format. 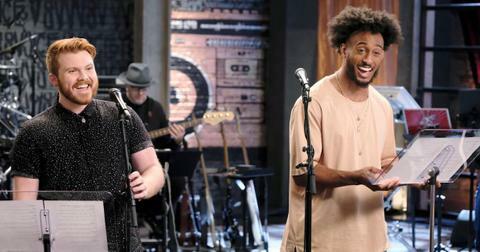 What are the Cross Battles — The Voice's new twist?? 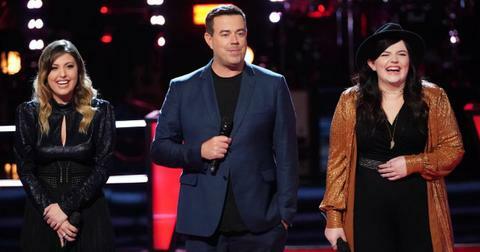 According to several reports, The Voice is getting rid of the Knockout round and replacing it with Live Cross Battles. This twist has already popped up on several international versions of the competition, including The Voice: Holland where it was first introduced. While the Knockouts saw two contestants from the same team go head-to-head for a place in the Finals, the Live Cross Battles will pit two artists from different teams against each other — and the coaches won’t have a say over who moves on to the next round. The singers will compete for your votes live, meaning the at-home audience determines which contestants make it to the Finals. What’s fascinating about this change is that the coaches’ teams (most likely) won’t be the same size going into the last few episodes. For those questioning whether the Live Cross Battles are actually the twist NBC is referring to, Gold Derby confirmed that The Voice’s ticketing website, 1iota, promoted the April 15 & 16 episodes as live shows, even though they’d traditionally be pre-taped Knockout rounds. It sounds like fans are on board with the switch … for the most part. "Love the idea now we can vote for who we want instead of who judges pick. I mean we are the ones that will buy the music," one viewer wrote, while another added, "This is going to be exciting." But one loyal watcher reasoned, "This show definitely does not need any more know-nothing popularity vote rounds. If anything, they should be increasing the abilities of the coaches to over-rule the voting public, which clearly has no idea how to vote for actual singing talent." Some viewers questioned whether the twist is being implemented to boost ratings, and though the showrunners would never comp to that, we’d say that’s a reasonable hypothesis. 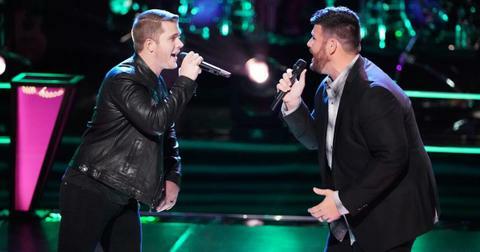 This isn’t the first time the singing competition has invoked game-changing formulas. Back in 2012, producers introduced the "steal," which allows coaches to save artists on other teams from elimination. "We thought it was fun, [it] brings the chair back into play, the functionality of 'I want you,' and brings the power shift back into play that works well in the blind auditions," host Carson Daly told reporters at the time. Producer Mark Burnett added, "It’s been a very kind experience. We try to create a very kind experience on this show where people who deserve to stay have a chance to stay." The "block" was added to the blind auditions six years later. "We haven’t ever really had a defensive move or an offensive-defensive move, so we came up with the block. It really sort of speaks to the real competition," executive producer Audrey Morrissey said of the feature, which allows one coach to prevent another from adding a contestant to their team. It will be interesting to see if the Live Cross Battles become an important staple of the show. 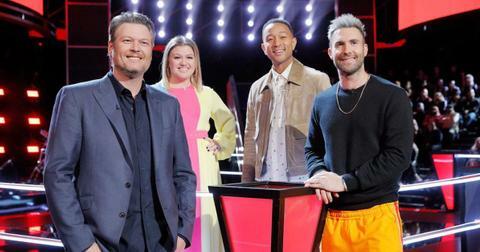 Watch new episodes of The Voice on Monday and Tuesday at 8 p.m. ET on NBC.